This project involved the re-design of Swisse Vitamins’ Melbourne headquarters to improve the environment quality and work setting for staff and visitors. Hemmed in on both sides, the site’s previous incarnation was stagnant and devoid of natural light and outlook. Our concept was to cut out the core of the building creating an internal garden oasis (based on ancient Roman and Islamic models) to bring in movement, light and natural ventilation while providing a tranquil, leafy outlook. A mixture of open-plan and closed offices wrap around the internal void space on two levels, with a breakout area and open deck tucked behind the front façade of the building. The boundary between the rear warehouse and the offices is glazed to ensure a spatial and cultural connection between the two. Carefully crafted material application is essential to the design strategy. 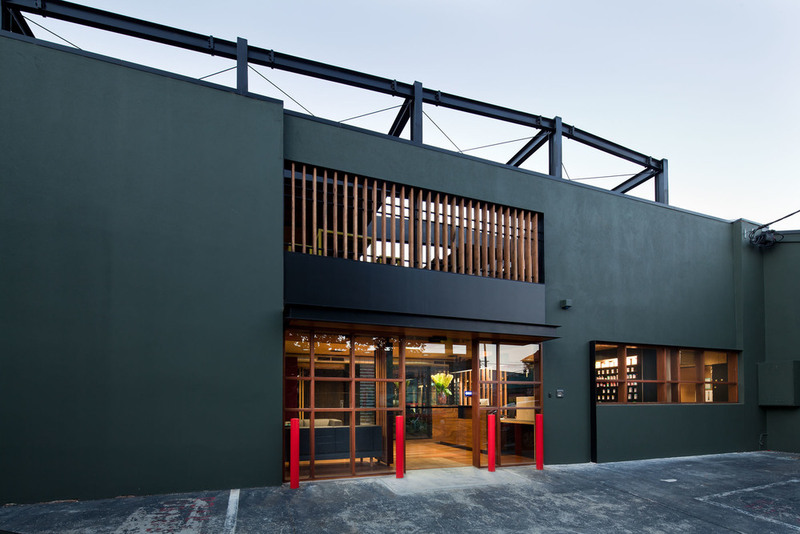 A natural palette of grey, black, and natural timber complements the garden setting and provides a natural work environment, reinforcing the company’s health philosophy. A horizontal strip of bronze mirror is used on the interior face of the void to disguise the floor-plate behind while maintaining the double height glazing, bringing a play of light and reflection to the space.